For you who looking for adventure with minimum of time. Engholm Husky design lodge outside Karasjok - in the heart of the Sámi culture is your base all four days. The program incl. 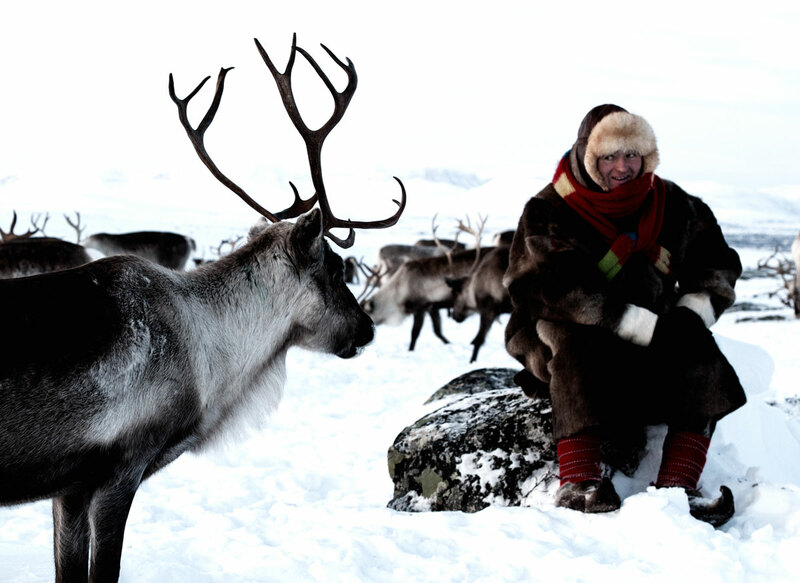 1 day trip with snowmobile to a traditional sami reindeer herder with their reindeer herd on the plateau. And 1 daytrip with the sled dogs. All accommodation on Engholm Husky design Lodge. Look at photos and videos from preveious Engholm Husky Holidays. Day 1: Program start with dinner at 19.00. Then your guide will give all information regarding the tour. Day 2: The morning is spent provision of arctic snowsuits, boots etc. Organizing the teams of huskies and learning the basics of caring for your team and driving the sleds. On the daytrip we will drive in varied terrain, beyond the beaten tracks. It is good chance to see moose. We stop for a lunch break around an open fire. Close-up nature impressions together with a guide, who likes to share his knowledge and admiration of nature and outdoor-life with you. A reasonable level of fitness, concentration and a sense of balance are the key attributes needed. You will have your "own" sled and responsible for 4 -6 dogs. For participants who have experience with dog sledding, it is common to drive single dog team. 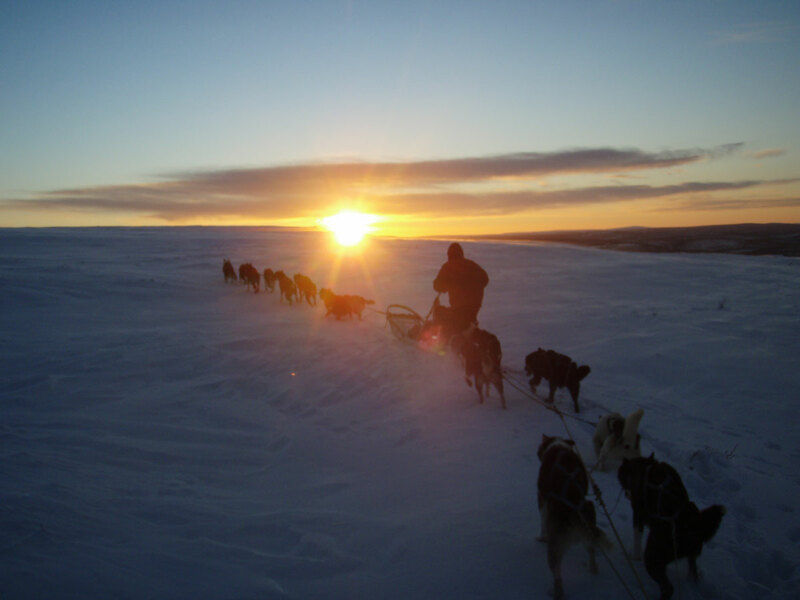 With participants without previous experience of dog sledding, we normal start out the first day to driving a tandem team with 2 sleds and 8 - 10 dogs. You share a dog team with a partner or the guide. The guide and participants decide together whether it is best with double or single team. 25-47 km. Day 3 This day will be memorable. We travel beyond the beaten tracks by snowmobile to a winter settlement for Sámi reindeer herders who pursue their livelihood here on the winter pasture. You will be picked up 10.00 at Engholm Husky lodge by the herder with his snow mobile and transported in the sled to the herd. We may spend the day together with them and join their daily life with their reindeers and get insight in their way of living and herding. 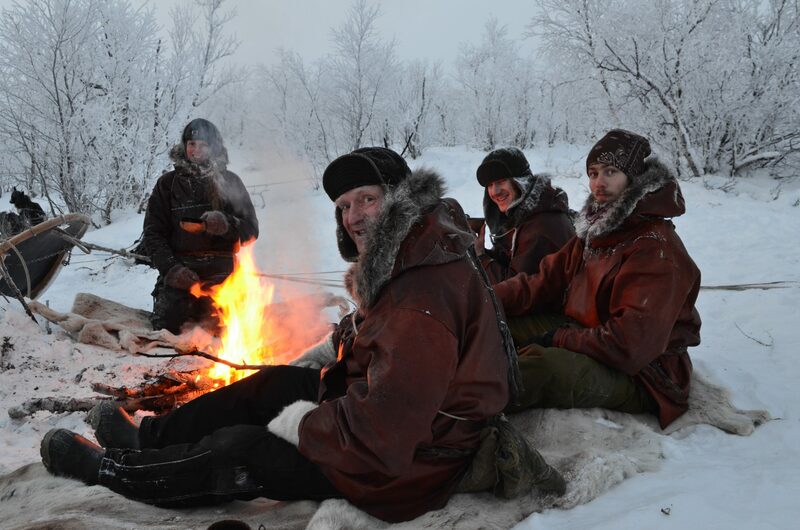 This adventure is a unique privilege made available for few by a Sámi family from Karasjok. We have a cosy wood heated sauna and outdoor hot tub ready on request for those tempted. 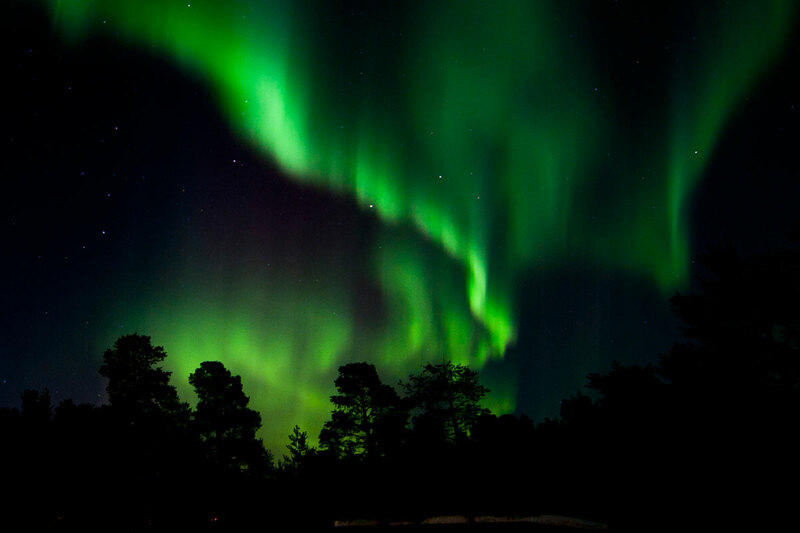 Maybe with northern lights above. Day 4: The program end at breakfast. It's worth considering whether to stay some extra days for interesting activities as lodge guest.There is always a lot happening on our farm, puppies are learning to socialize. Many interesting books can be read in the "Dogmusher library". Smaller tours can be ventured upon alone if desired: Snow shoeing, cross-country skiing, tour with our kicksleds or walking. You can book a extra sled dog tour. Tour with a snowmobile. Local handicrafts and shops can be found at the local Sámi village. The National Sámi Museum, guided tour at Norwegian Sami parliament, Sami art gallery, Sápmi theme park and the local knife smith are also worth visiting.